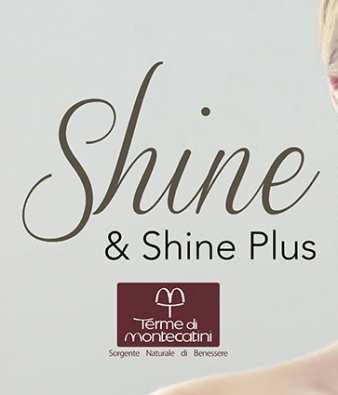 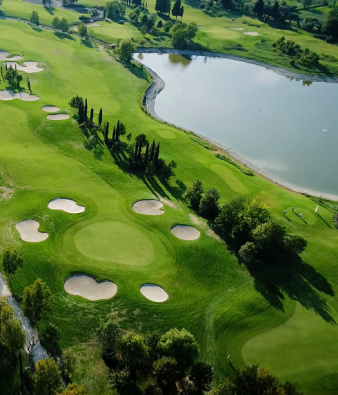 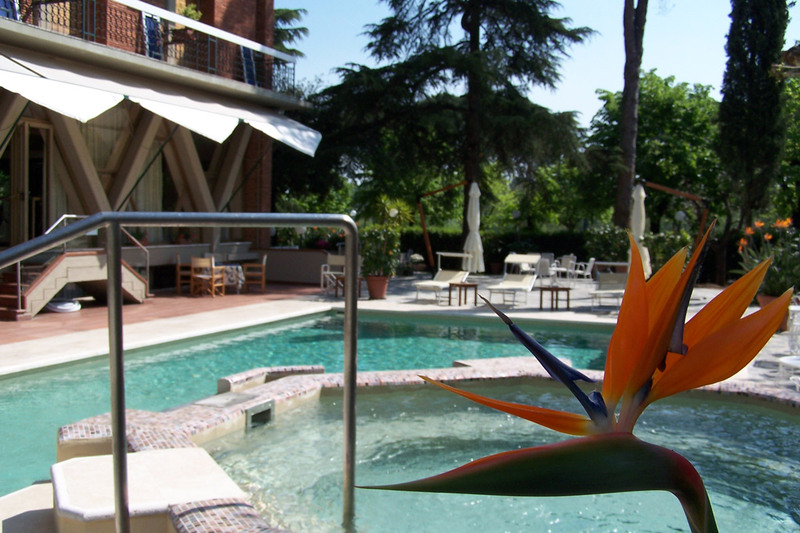 Welcome to an exclusive 4-starhotel in Montecatini Terme with pool near the thermal park, a relaxing oasisoffering a vacation of health and wellness in the heart of Tuscany. 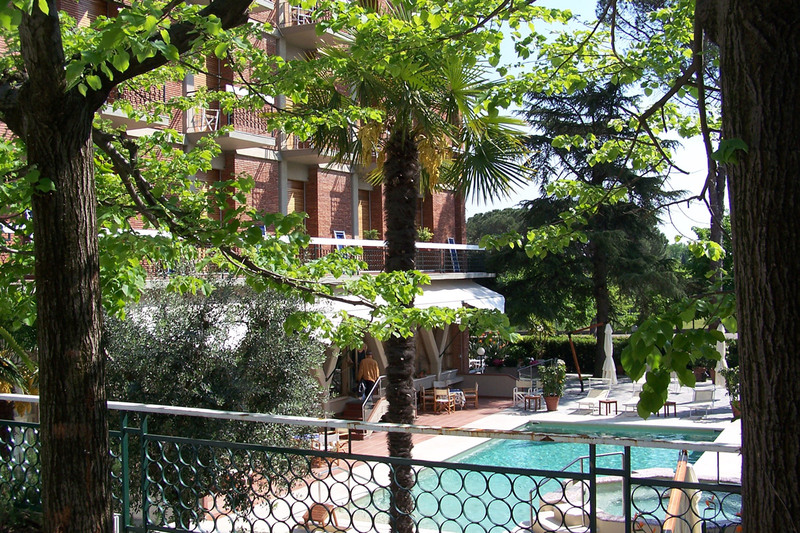 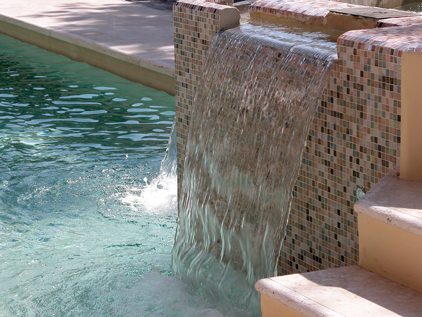 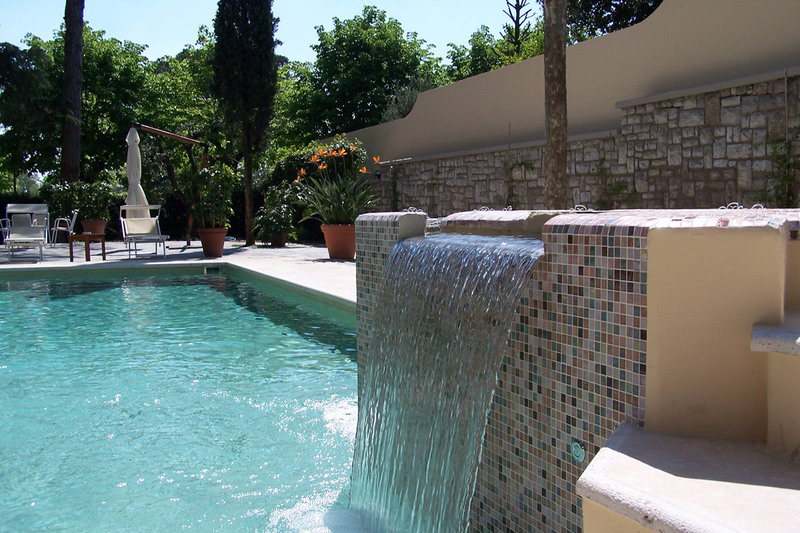 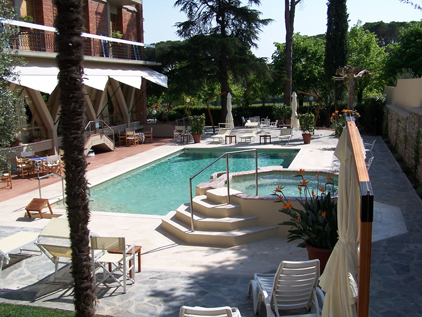 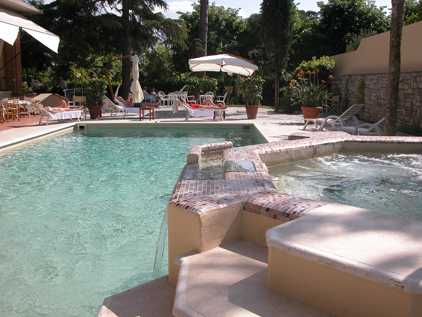 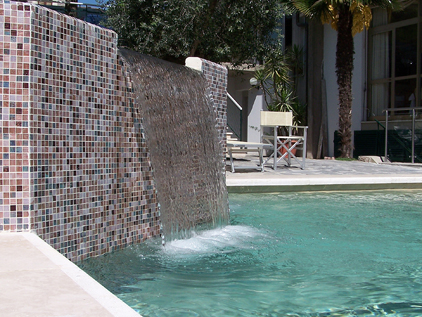 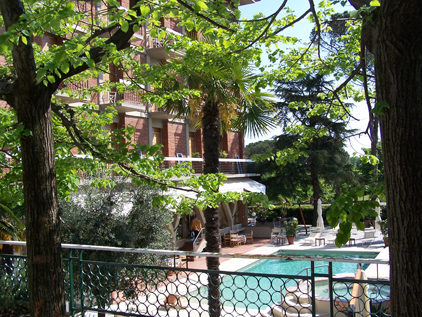 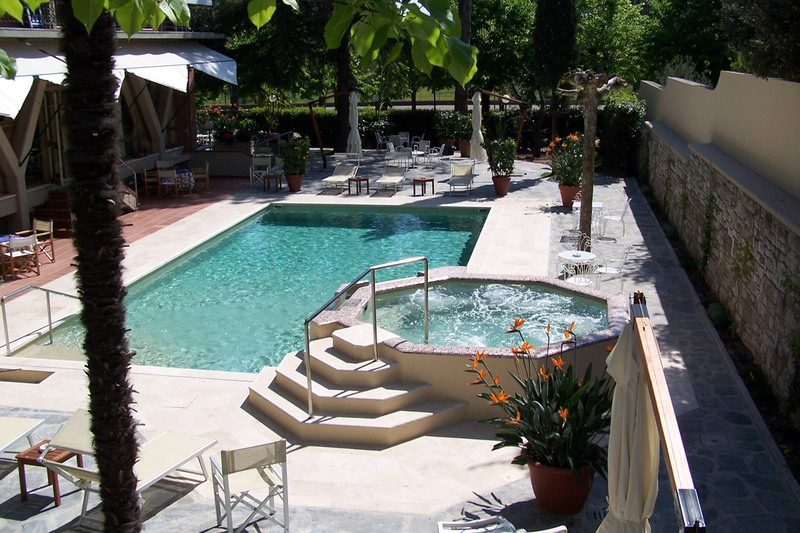 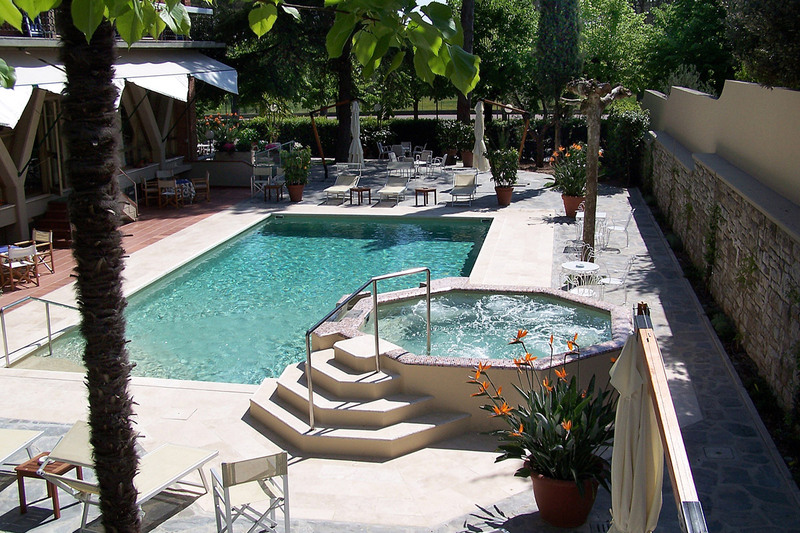 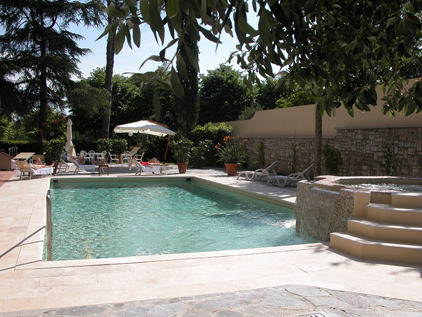 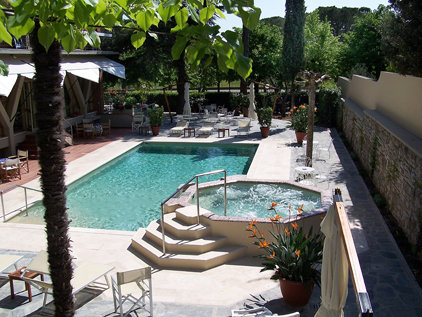 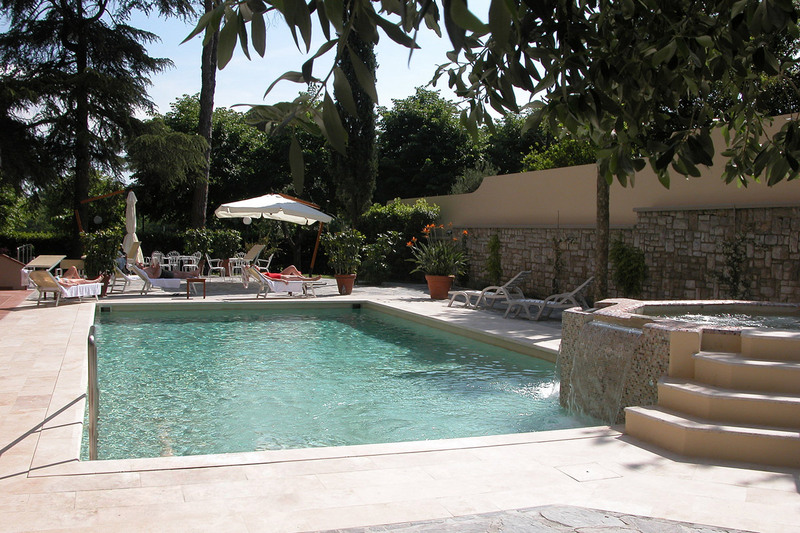 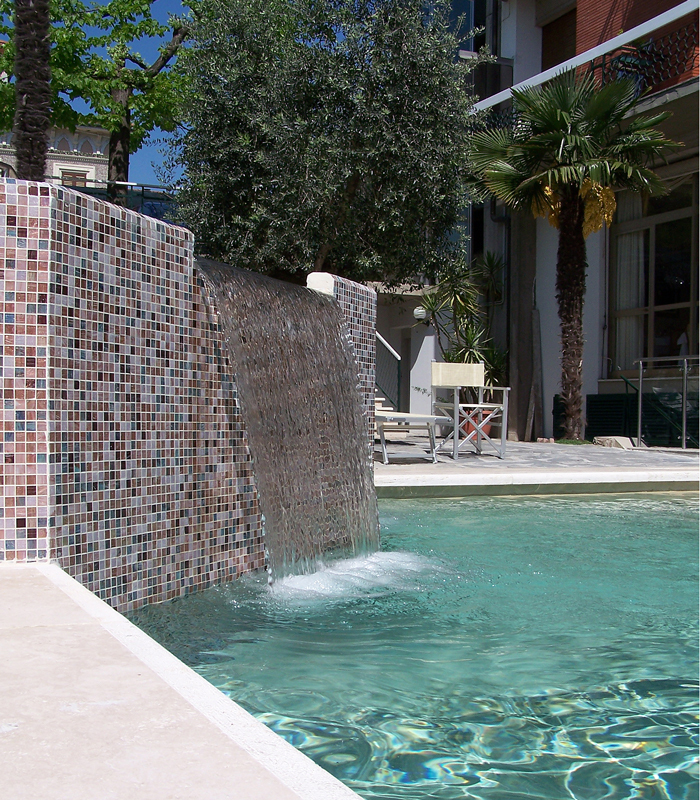 A large exclusive pool with waterfall and a whirlpool for 8 persons in the garden. 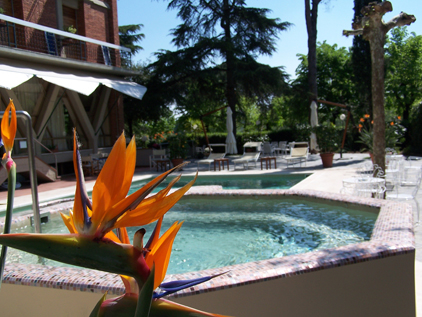 A healthy opportunity for peace and harmony, where you take care of yourself for a day, a weekend or longer. 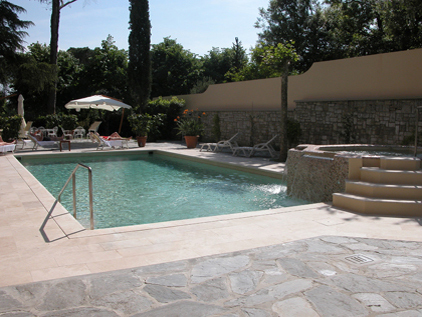 The sunbeds, perfect for sunbathing in summer, surround the pool and create a space of discreet luxury, perfect for families with children and couples looking for a romantic place to spend their holidays. 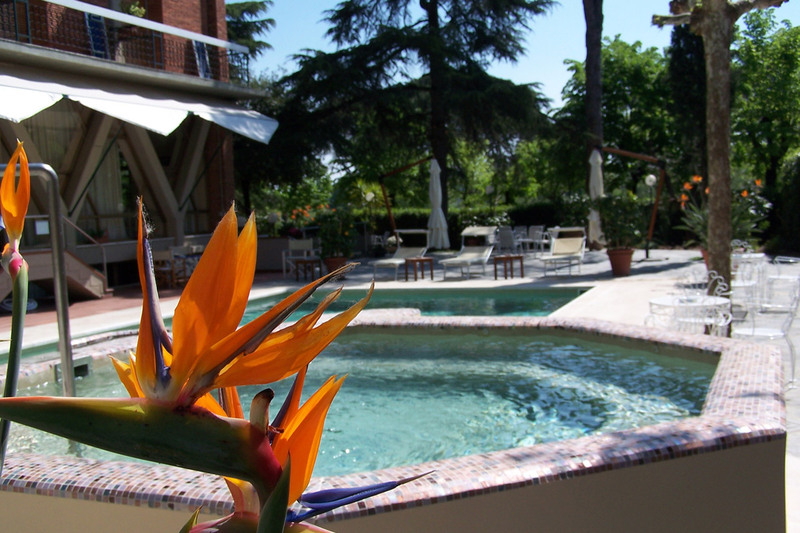 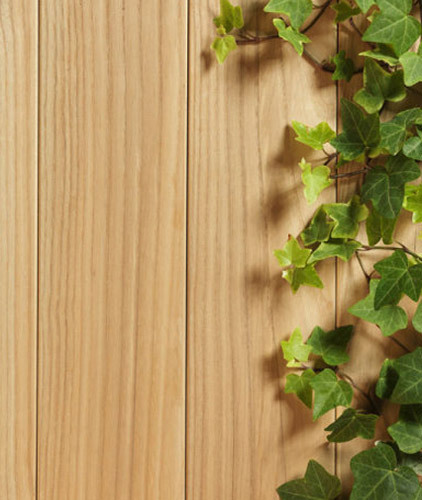 In the summer months you may have lunch outdoors, choosing from the menu of our restaurant, where the traditional regional cuisine meets the needs of a balanced diet, geared to a healthy lifestyle. 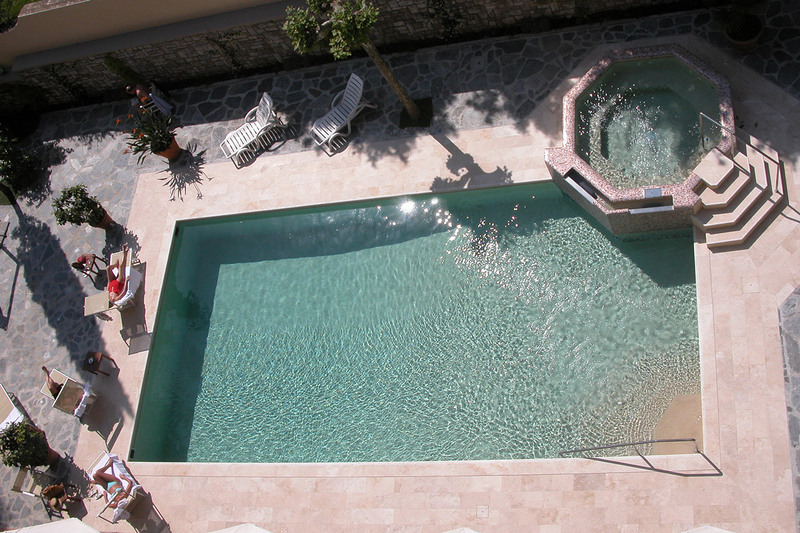 Enjoy a day at the pool, to take care of yourself, mind and body. 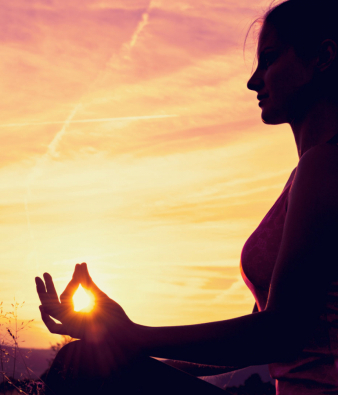 Forthis purpose, at request, yoga and fitness classes with personal trainers can be added, lessons will take place on the panoramic rooftop terrace of the hotel. 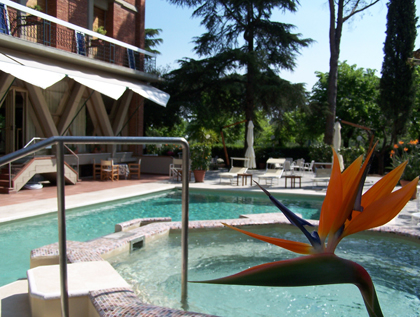 Hotel Torretta is different from any other Montecatini Terme hotel not only for its swimming pool but also for the family atmosphere. 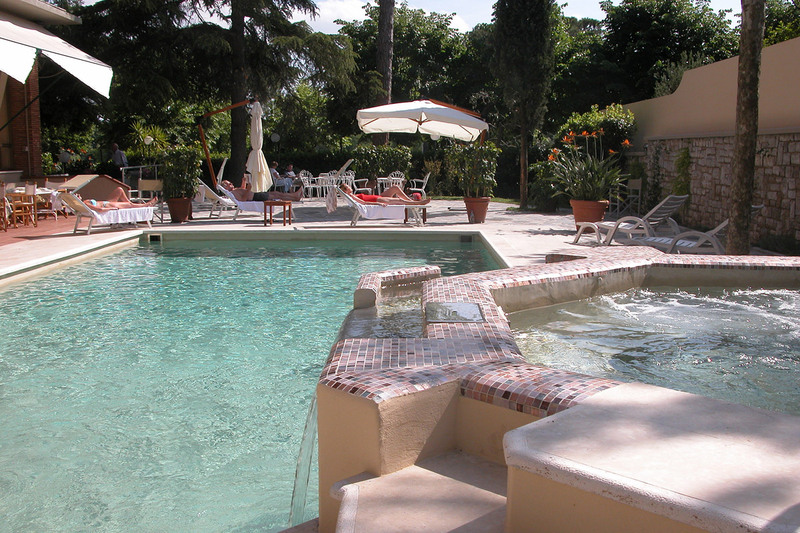 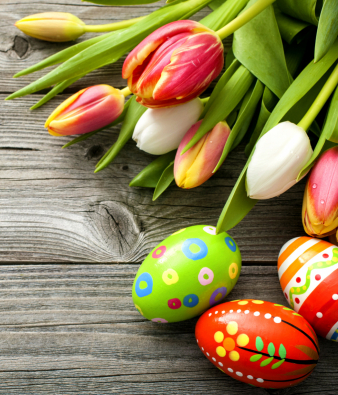 If you book your vacation online (see packages and last minute offers!) 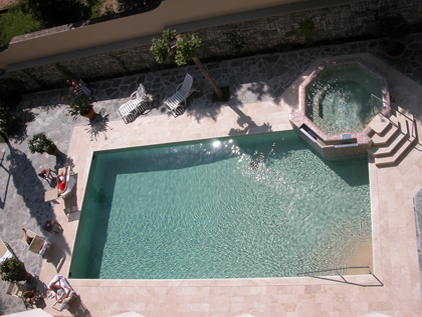 we will offer youa free pool towel and a welcome drink.